On Friday, April 19, 2019 Pastor's: Alvin Love, Charles Hamilton, Larry Tyler, Joliet, IL. ; Stevie Powell, Robert C. Jones, Jr., Antoine Funches, Rockford/Freeport, IL. 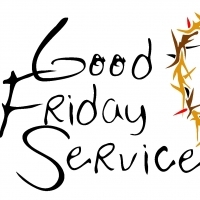 and Victor Rolland, will come together for our Annual GOOD FRIDAY WORSHIP. The Worship THIS YEAR, will be held at the Mt. 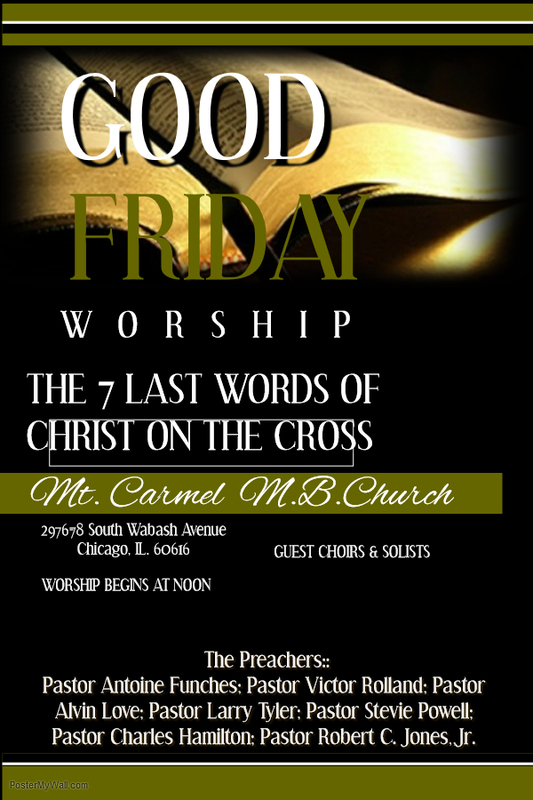 Carmel Missionary baptist Church, 2978 South Wabash Avenue Chicago, IL. The Worship will begin at NOON. Come and share with us in this time of Doctrinally Sound Word of God Based preaching and great singing, highlighting some of the choirs and soloists led by these men of God. There will be a meal available at cost for eat in or carry out. Parking is available on both sides of the street (Wabash between 29th & 30th North and West to Stateon 30th); also there is parking on our rear lot and on the IIT A-1 Parking Lot from 11am until 5pm. Dr. Alvin Love, Pastor of Lilydale 1st Baptist is our GOOD FRIDAY WORSHIP Leader & Coordinator. Dr. Robert C. Jones, Jr. Pastor of Mt. Carmel Missionary Baptist Church is our Secretary. Parking is available on both sides of the street (Wabash between 29th & 30th North and West to State Street on 30th); also there is parking on our rear lot and on the IIT A-1 Parking Lot from 11am until 5pm. .